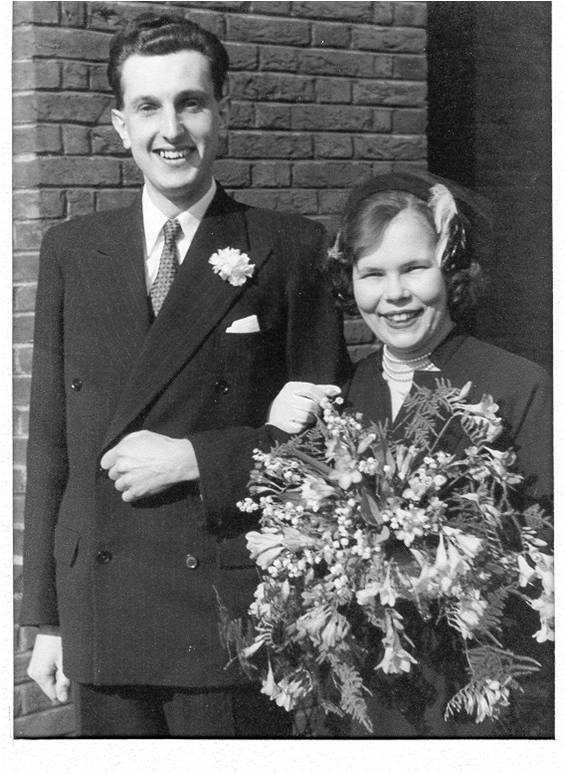 Michael Luton and Barbara (Campbell) Luton on their wedding day in 1952. Jonathan (CLC ’72) and Joanne (Luton) Allen are proud to establish The Michael and Barbara Luton Scholarship in honor of Joanne’s parents, the late Michael Luton (GRS ’51) and Barbara (Campbell) Luton (FSM ’51, GRS ’66). The scholarship funds will provide need-based or merit aid annually to a student who will be known as The Luton Scholar. “Michael and Barbara cared very much about CWRU, and helping provide a young person with an opportunity to absorb what the university offers is a most fitting joint memorial,” explained Jon and Joanne when asked about their motivation for establishing the scholarship. When Barbara Campbell boarded a train from her native Boston to Cleveland in 1948, she would be the first in her family to head off to college. With hopes and nerves high, she traveled to Flora Stone Mather College with a scholarship and a feisty resolve that would lead her to purse three majors for her bachelor’s degree. Meanwhile, across the sea, London-born Michael Luton was studying at the University of Cambridge, earning his first degree after having serving in the British Army during WWII. Michael’s interest in American Studies would bring him to CWRU for a master’s degree in 1951. The couple met at International Club during Barbara’s senior year and in 1952 they would marry in London. At that time, how were Barbara and Michael to know that their union would launch three generations of lasting connections at CWRU? 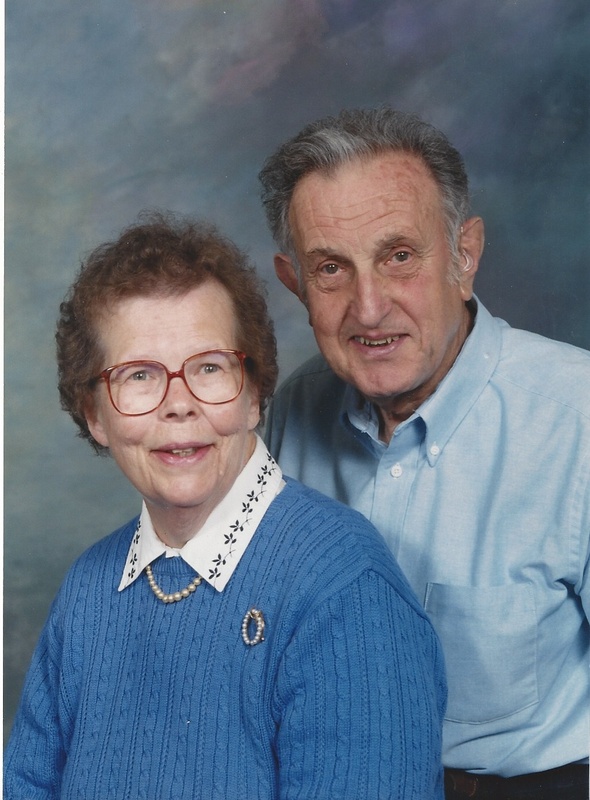 Both enthusiastic travelers and pursuers of knowledge, the young couple moved to England and became parents to Joanne and Peter before returning to Cleveland in 1957. The Luton’s future son-in-law Jonathan Allen, graduated from Cleveland College in 1972. Jon attended CWRU on a GI Bill earned through service in the United States Air Force. “Had I not used the GI Bill to pay for school, I might have met Michael many years earlier,” Jon explained. It’s not a stretch to think their paths might have crossed. Michael and Barbara had kept a close connection to the university, after all. Michael spent several decades working as a curriculum coordinator in the Baker Building at Cleveland College and later served as CWRU’s Assistant Director of Financial Aid. Barbara also returned to CWRU. She earned a master’s degree in library science. Barbara would launch her career with Shaker Heights Public Libraries in a part-time position and would work her way up to serving as director of the library system, a position she held for 20 years.